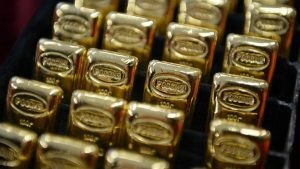 Russian gold buying in 2017 took Russia’s total gold reserve position to 1,778 tons, just slightly behind China’s official gold reserves of 1,842 tons. The U.S. had just over 8,000 tons. But considering the U.S. economy is eight times the size of Russia’s and the Chinese economy is four times as large, Russia is the world champion when it comes to the gold-to-GDP ratio. That’s the metric that really matters because it reveals how much gold you have to back up your real economy in the event of a loss of confidence in fiat currency. Russia’s gold-to-GDP ratio is more than double the U.S.’ and China’s, leaving Russia in the best position of any major economy to go back to a gold standard (Europe is in the next best position after Russia). Russia bought 205.155 tons of gold in 2017, which is almost 5% more than the 195.89 tons they bought in 2016. Interestingly, as this article reveals, Russia is also a major seller of gold on the Shanghai Gold Exchange. Russian and Chinese gold accumulation and gold cooperation suggest that both countries are preparing for the day when an all-out assault on the status of the U.S. dollar begins. Russia and China are ready for a new gold-backed currency. Are you?